It’s been a few weeks since I wrote the the initial Bookends post. I’ve been taking a couple of hours every week to work on the setting up Bookends and today, I sat down and got the search working using OpenLibrary’s API. The search works by doing a naïve search so I think right now, it’s not ready to be used as it’s not reliable. 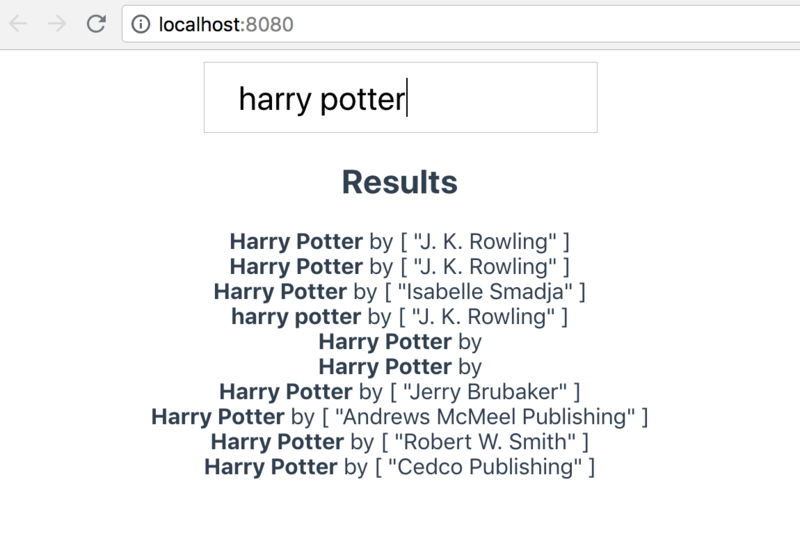 If you look at the screenshot below, you’ll notice that there’s no way to tell which book is actually a real Harry Potter book or one that’s missing an author. Next steps will include actually getting the search to order based on popularity. Also, I want to add more descriptions and covers before allowing people to actually play with this. It’s been a slow progress because I’ve been thinking more and more about making the application portable from dev to production. No idea how I’m going to do caching right now and so I spend some time thinking about that right now.